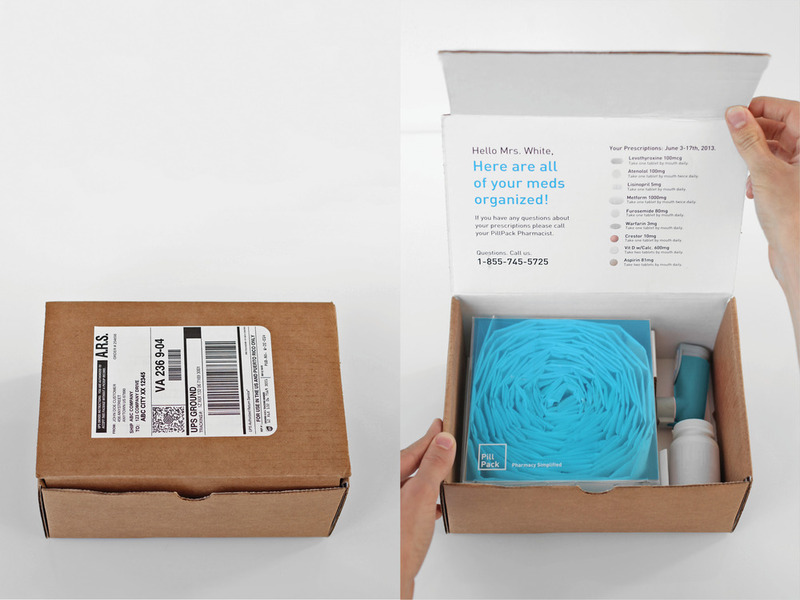 The final packaging of PillPack as well as the packet design was the result a process that weighed usability, technology and cost. 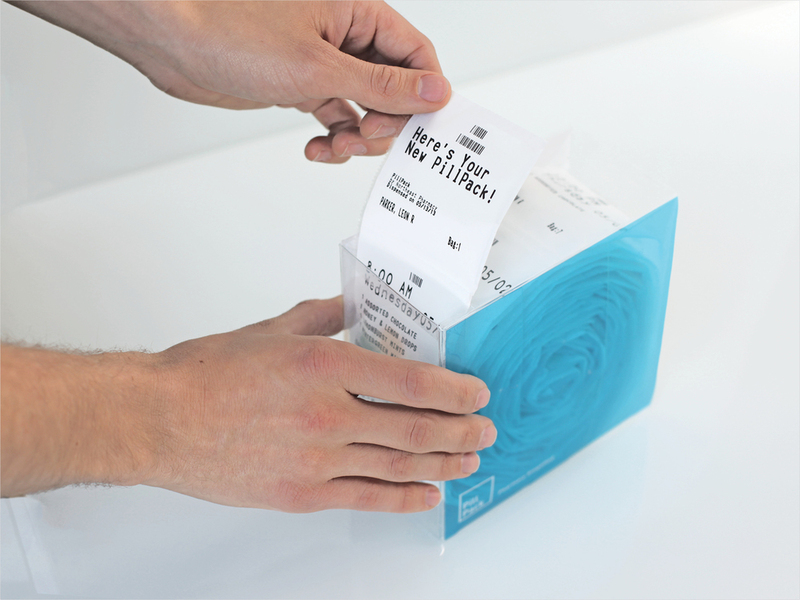 We explored a wide variety of formats for the dispenser before settling on the clear folded plastic approach. The visibility and transparency help reassure the patient their medications are correct. Personalized labels, readable type, and color pill images reassure patients at every step.